BioAir Solutions delivers sustainable biological odor control to an expanding municipal wastewater treatment system. Strong, trusting relationships are important in any business. When it comes to controlling nuisance odors and preserving quality of life, these long-term relationships are crucial. In 2011, the Ras Al Khaimah Sewerage Authority (RAKSA) in the United Arab Emirates sought a partner as it worked to identify and treat unpleasant odors coming from various locations within the region’s wastewater collection system. What started as a consultation resulted in a years-long relationship. 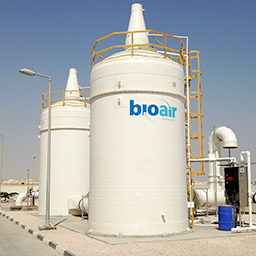 Odors coming from Ras Al Khaimah City’s wastewater collection system were causing complaints, so RAKSA retained BioAir Solutions to begin the process of eliminating the odors. It began with a detailed system evaluation. BioAir scientists worked alongside RAKSA officials to quantify odor concentrations and airflow requirements to establish design bases for the odor control solutions that would be installed throughout the system. The study revealed that foul hydrogen sulfide (H2S) odors were being emitted from three lift stations spread across the city as well as in a treatment plant. BioAir’s evaluation indicated that inlet chambers, screen chambers and wet wells comprised the components at the pumping stations where odors were detected. With the results of the assessment in hand, RAKSA authorities reviewed the available odor control technologies. Ultimately, RAKSA chose BioAir’s EcoFilter® biotrickling filter as their preferred solution. The key determining factors for the decision were that EcoFilter units are sustainable, environmentally-friendly and do not require hazardous chemicals or activated carbon. To learn more about the science behind biotricking filters, read our article on biology in the biofiltration process. Another great resource is our article on biological treatments for H2S removal. In addition, a life cycle cost analysis showed that the EcoFilter unit was the most economical solution due to its low operating cost and ease of maintenance. EcoFilter at pumping station 2A designed to treat an airflow of 1,700 cubic meters per hour (1,001 cubic feet per minute). EcoFilter at pumping station 2B designed to treat an airflow of 1,700 cubic meters per hour (1,001 cubic feet per minute). EcoFilter at pumping station 3A designed to treat an airflow of 6,745 cubic meters per hour (3,970 cubic feet per minute). EcoFilter at WWTP headworks designed to treat an airflow of 1,985 cubic meters per hour (1,168 cubic feet per minute). EcoFilter at WWTP tanker receiving station designed to treat an airflow of 2,210 cubic meters per hour (1,301 cubic feet per minute). As an example of the superior performance of BioAir’s EcoFilter units, consider these data taken from the unit at pumping station 3A: The unit was designed to handle between 250 – 350 ppmv of H2S. Post-startup testing showed an actual average inlet H2S range of 120 – 300 ppmv while the average outlet H2S concentration was less than 0.010 ppmv. That’s an H2S removal efficiency of over 99.9%. 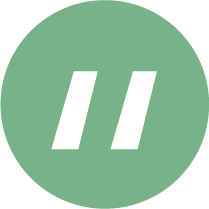 While we’re pleased that our initial work with RAKSA led to repeat business, we’re especially heartened at having built a long-standing relationship built on trust, expertise and promises kept. BioAir Solutions is ready to lend a hand, whether your current odor control system is failing, you’re planning to expand your facility’s capacity or thinking of building a new one from the ground up. Schedule an odor assessment now, or read our in-depth guide on controlling nuisance odors.